Power three different solar vehicles — a solar speed boat, an air boat, and a surface submarine — using only the power of the sun. Build three vessels out of your recycled plastic beverage bottles then power them with the sun using the included 1/2 watt, waterproof solar panel. You can build a solar speed boat, an air boat, and a surface submarine. No batteries required. 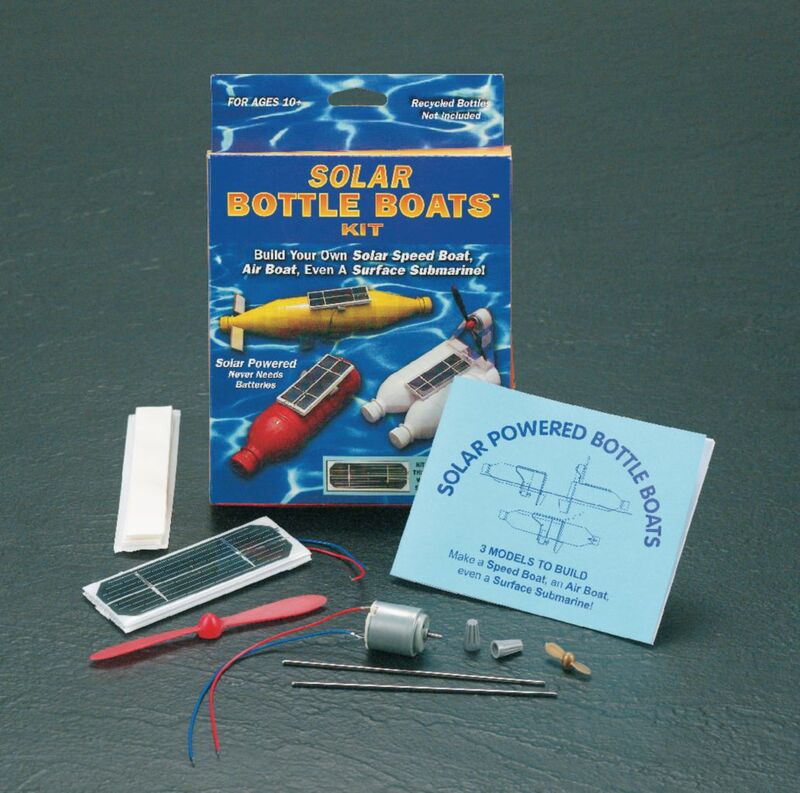 Includes solar panel, solar motor with wires, water propeller, air boat propeller, mounting tape, 5" metal shafts, wire nuts, complete instructions for three designs.